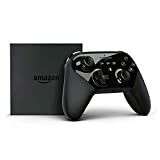 amazon has the amazon Fire TV gaming edition for $139 with free shipping. Sells for $139+ Highest Price. Deals for $114 Lowest Price. Normally $132+. Say it. Watch it. Say the name of what you want to watch and start enjoying in seconds. Now with Alexa, use your Fire TV Game Controller to check sports scores or the weather, play music, and more - just ask.